The long cold winter is now well behind us, summer is here with a passion and the CRABs have been hard at it again. Early winter saw a few members head up to the Australian Postie Bike Muster in Collingwood and were entertained by the antics of the postie bike fraternity. This was followed by a delectable picnic by the Yarra at Studley park. Once winter had set in the riding slowed down but a few keen riders headed out into the dismal abyss. Much mirth, pub grub, vanilla slices and hot coffee was had on rides to South Gippsland, the Yarra Valley, Jamieson, the Mornington Peninsula and the high country. The weather warmed and the tempo picked up again. 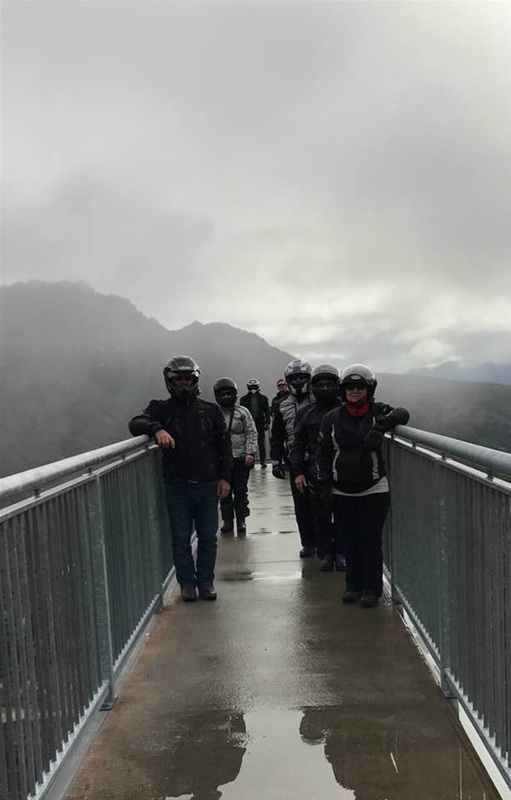 Several members loaded their bikes and headed to the Snowy Mountains for the Steven Walter Children's Cancer Foundation ride. About 2200 bikes did the ride and it’s great to see so many bikes turn up to support a worthy cause. 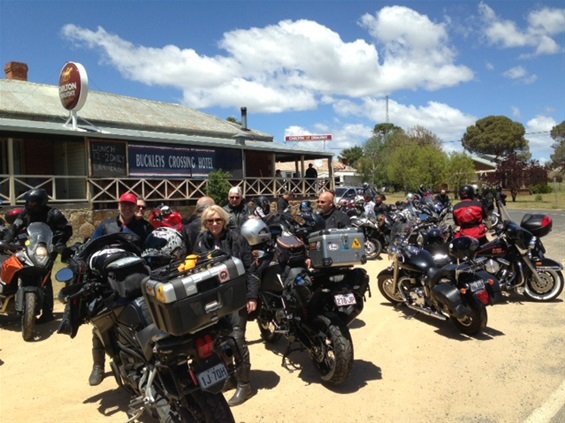 The CRABs made their annual pilgrimage to Mirboo Nth for the Blessing of the Bikes. 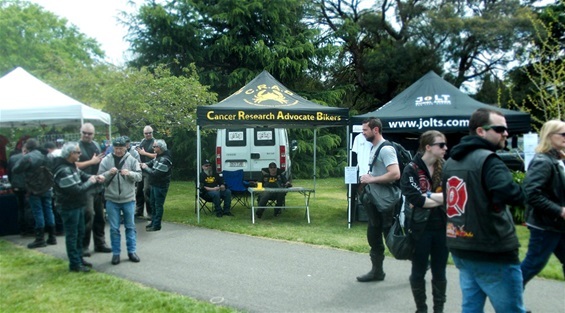 This year we had our club gazebo there to promote the club and its aims. Thanks to the members who did the drive there to set up and man the site. 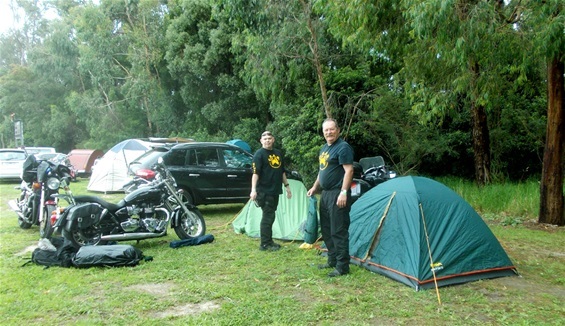 A few members also participated in the GP run from Cranbourne to the Island. Spring rolled into summer and the CRABs once again supplied some scrumptious delights at the Bluescope Christmas party as well as a couple of profitable sausage sizzles at Bunnings. The Peninsula Toy Run saw a number of dedicated Crabarians decorate their machines and head off with much needed gifts for the less fortunate. 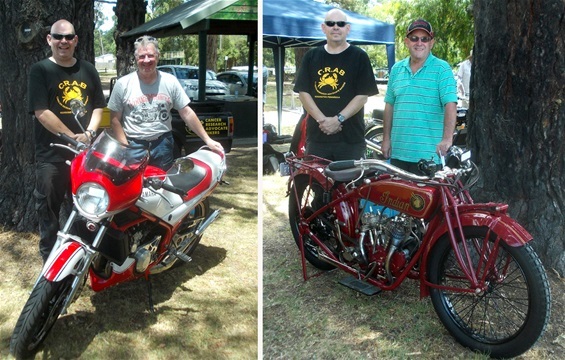 January saw the second Crib Point Bike Show spring into action. 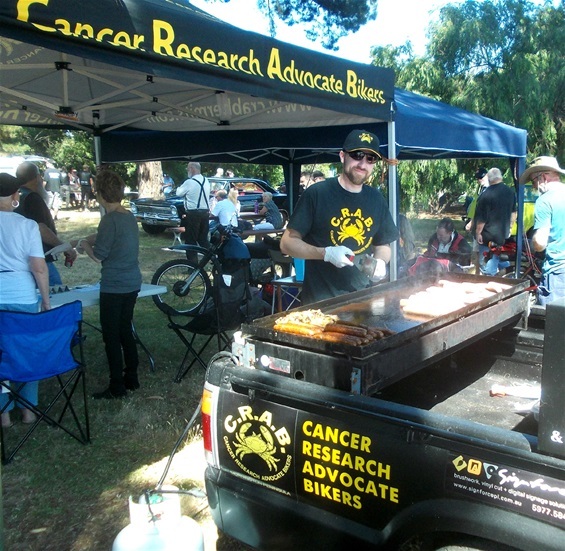 The show was well supported by bikers and the local community with food and drink sales going well. 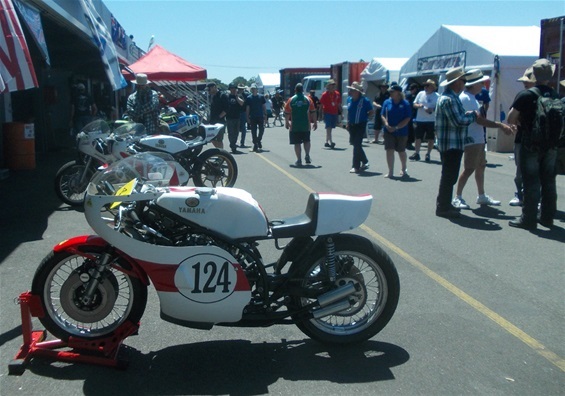 Soon it was time for the usual club ride to the Classics at Phillip Island and a great time was had by all sampling the sights, sounds and aromas of motorcycling's yesteryears. 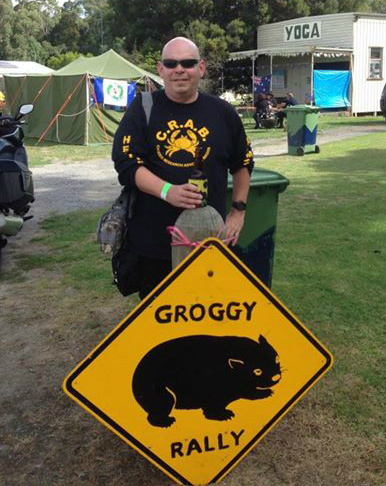 Late January saw a few riders head off to Tassie for a lap of the state and in mid February the CRABs headed off to Meeniyan for the Groggy Wombat Rally....not even rain could dampen their enthusiasm. Coming up soon in April will be our annual “A Meander Down The Bay” run as well as our first Dice Run late in Autumn. Thanks to all the members who helped out over the year. Hope to see you at a General Meeting or on one our rides. 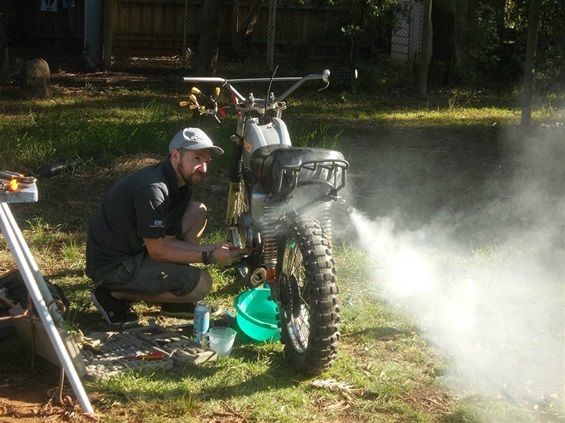 The barbie trailer gets a work out at the Crib Point Bike Show. 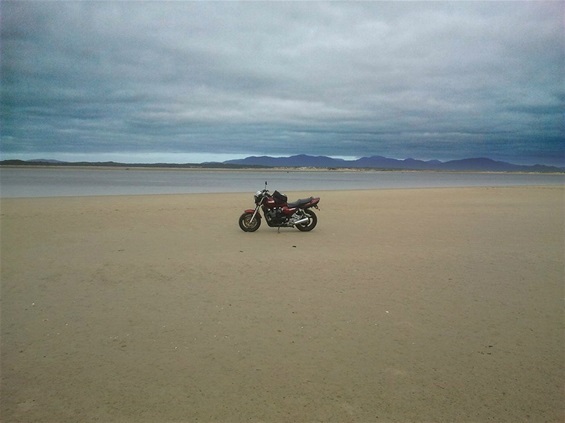 A winter ride to Shallow Inlet. The crew on the Snowy ride. The Red Plate scheme is attracting some interesting bikes to the club. 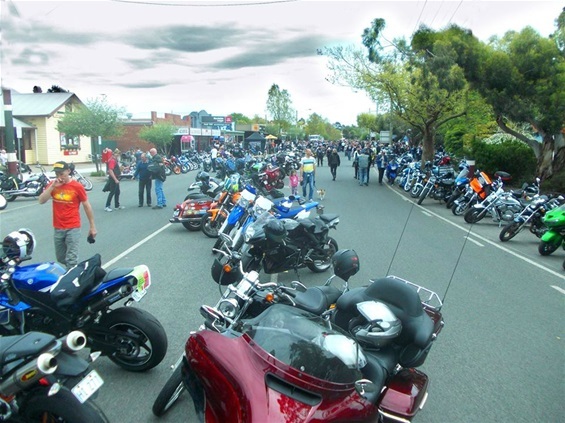 The Blessing of the Bikes in Mirboo Nth. 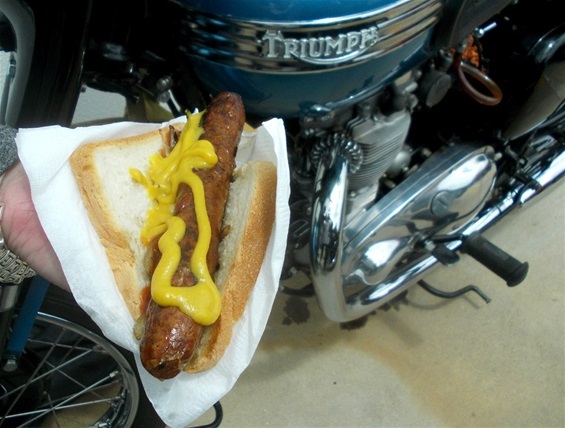 A typical delicious Bunnings sausage. Hundreds of bikes turned up for the 2016 Toy Run. A day at the Classic Motorcycle races. Pres Simon at the rally. Joe finally gets his "environmentally unconscious" suzuki running. 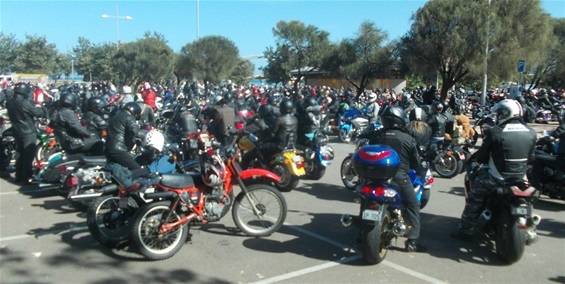 The Crib Point Bike Show. 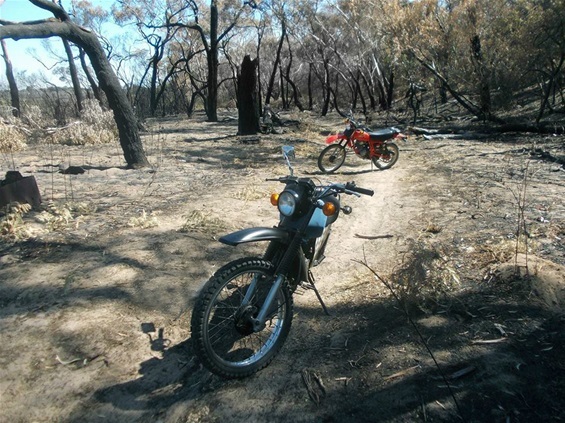 A couple of CRAB "red plater" trail bikes enjoying a ride.